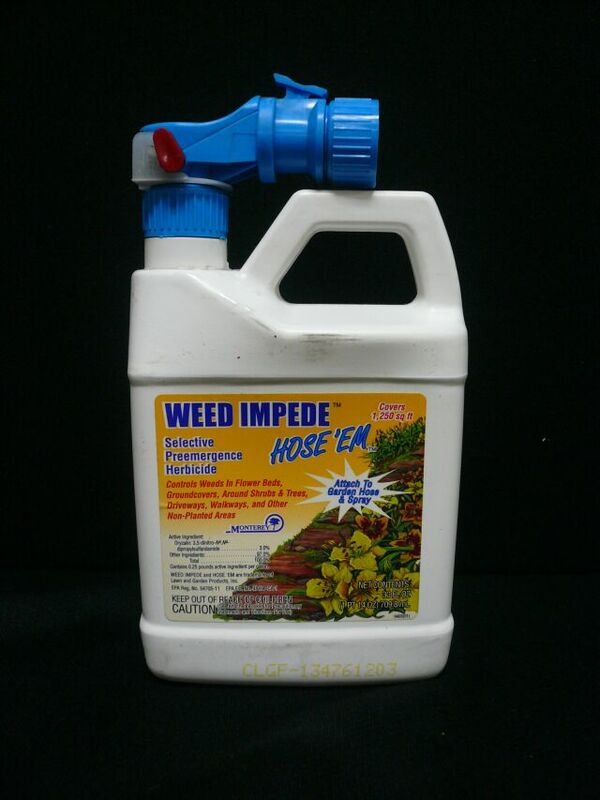 PRODUCT DESCRIPTION: Weed Impede is 40.4% active ingredient based on Surflan® (oryzalin), a widely used agricultural herbicide. Just attach this to a garden hose and you are ready to spray. It is classified as a preemergence, surface applied herbicide. It controls weeds in your landscape ornamental areas for up to 6 months. Weed Impede is primarily a grass killer. However, it is quite active on broadleaf weeds such as pigweed, purslane, spurge, oxalis, and many others. Weed Impede must go into the soil to be effective. If you are in a high rainfall area there is no problem. In other areas, Weed Impede may be moved into the soil using sprinklers. You can wait up to 21 days to do this, but the sooner it is done, the better. 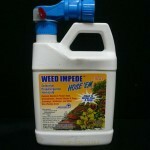 Weed Impede will not control weeds that are already up. It only is effective as a preemergence herbicide. If you have a situation where weeds already exist (and no ornamentals have been planted) you might want to consider a tank-mix with Roundup®. Roundup will kill the existing weeds and Weed Impede will go into the soil to control those that have not yet germinated. Be sure to not get Roundup® on surrounding plants. WHERE TO USE IT: For use on ornamentals, trees, roses, bulbs, iceplant and garden grown fruit trees. Warm season turf species such as bermudagrass, St. Augustine, buffalograss, bahiagrass, zoysiagrass, centipedegrass, etc. Apply only to well established turf and do not plan to overseed for at least 90-120 days following application.